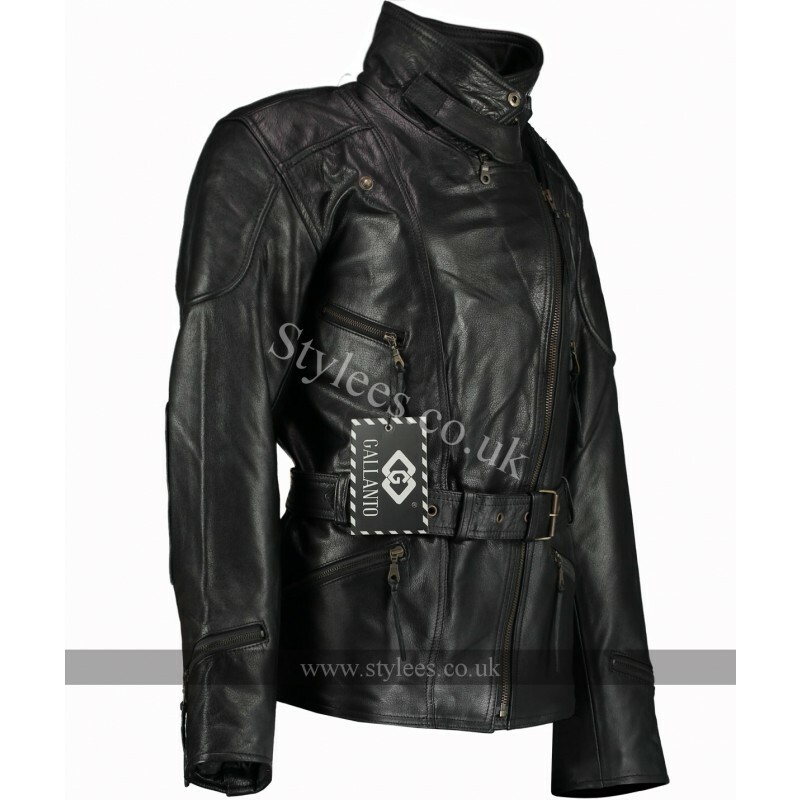 The perfect ladies biker jacket, made from 100% real cowhide leather the leather is durable and long lasting. 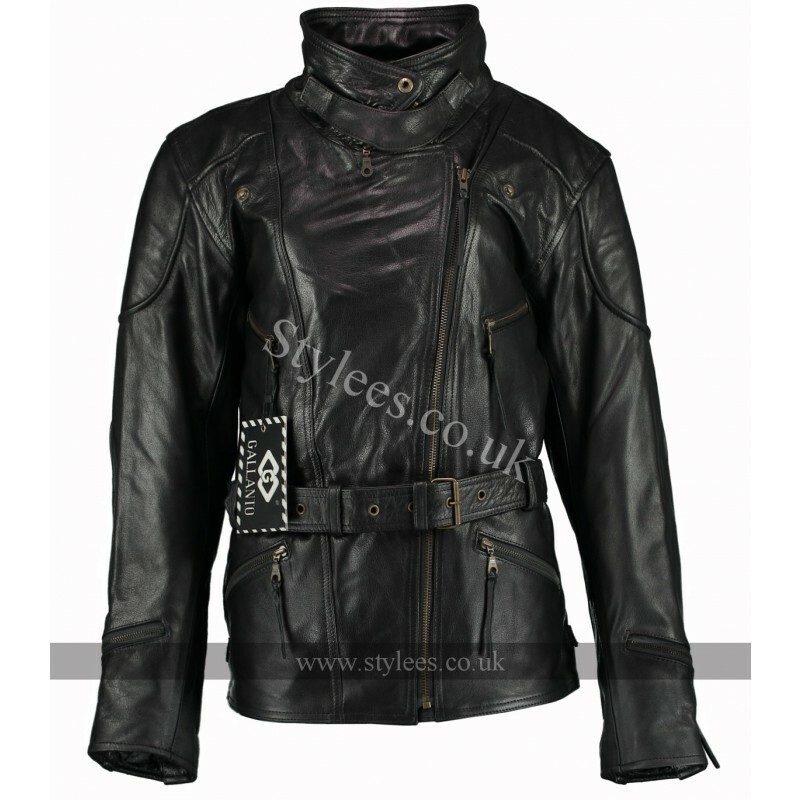 The quilted polyester lining comes with velcro armours pockets to slot armours into the shoulders, back and elbows. The half waist belt allows for size adjustment around the waist and the zippered cuffs are also perfect to tighten or loosen the fit around the wrists. 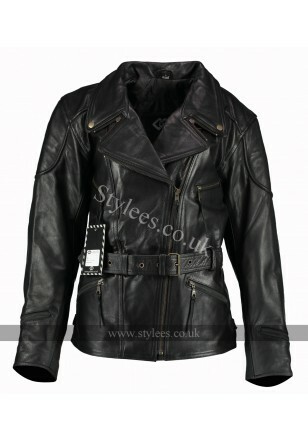 The length of the jacket is ideal for riding and the also comes with a zip attachment to attach trousers. 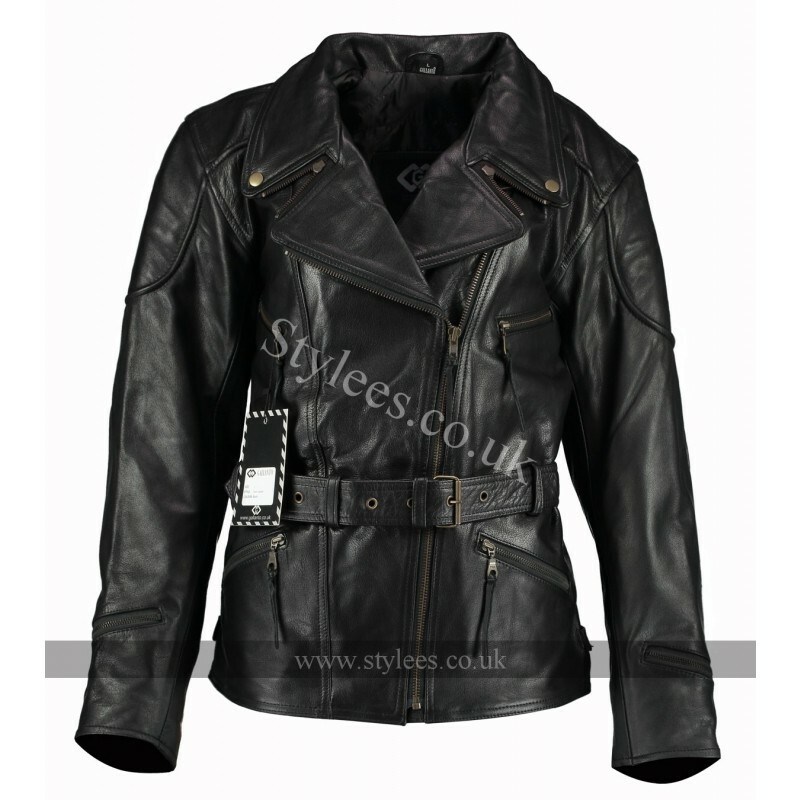 The jacket has been designed with a 3 way collar, so you can wear the collar in 3 different ways making it look like a new jacket each time! With a number of external and internal pockets to store your valuable items, the quilted lining also comes with a mobile pocket.